• Events to keep you occupied all day or even all week! 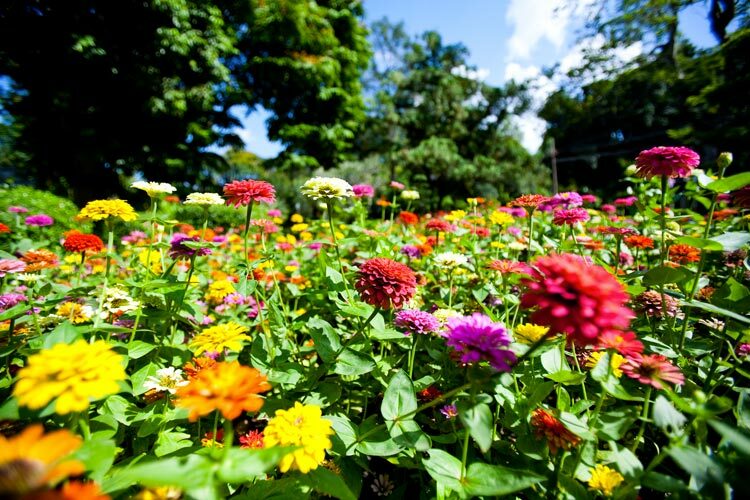 Spring has sprung and I’ve got some interesting events in Ho Chi Minh City to present this week. So many festivals and conventions! Seems ‘tis the season to get together with like-minded people for extensive events. However, if you’re not in it for the long haul, there are still a few short events to get your feet tapping and your lips smacking. Let’s see what’s up with Angee the Diva’s Best Events of the Week for 6 to 13 April. 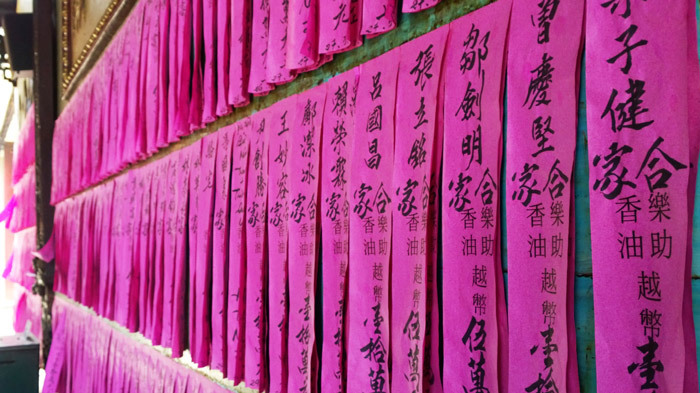 Saigon has no shortage of charitable and conscious causes to offer your time and attention. Yet another worthy cause is that of Hope Unending, an NGO in Saigon dedicated to helping abused and sexually exploited populations through education, intervention and prevention. This Sunday, join Hope Unending at Nha Hang En Tea House & Restaurant for an information sharing and volunteer meet up aimed at getting more people in Ho Chi Minh City involved in the fight against human trafficking. If you’ve been wondering about human trafficking in Vietnam and Asia and you want to see where you can help, please attend this informative session. Are you planning your dream wedding? What better place to start than the 2nd Annual Wedding Fair! Hosted in the beautiful Diamond Ballroom at the Sofitel Saigon Plaza, luxury wedding suppliers, designers, and service professionals converge to bring the best of the wedding industry in Saigon. Wedding suppliers such as Hacchic Bridal Dress, Guu Make Up, Traqué Studio, Kiba Studio, Dream Wedding and Chocolate Graphics Vietnam will be showcasing their best to couples. The peak of the event will be the mini fashion show presented by Hacchic Bridal with premier Vietnamese supermodel, Ms. Lan Khue. In addition to several discounts, souvenirs and prizes, couples can enter to win luxurious prizes, like a 2-night honeymoon stay at Swissotel Nankai in Osaka, Japan. Additionally, there will be games, talk shows, and make up classes all day long. Don’t miss this spectacular event at Sofitel Saigon Plaza to get your wedding planning started right. Krossing Over Arts Festival 2019 is taking over Saigon! This event takes place at several venues across the city to explore this years’ theme: Roots. The artists hope to encourage exploration of heritage and family connections to the past as well as growth in the audience members through the lens of contemporary dance, exploratory arts, films, and other artistic media. Through this look back, they also hope to invoke a sense of gratitude for the foundation of our lives. This is sure to be a powerful and thought provoking series of events. Venues include Youth Cultural House, IDECAF, DanCenter, A.Farm, Yoko Cafe, Salon Saigon, ISHCMC, The Factory, and Saigon Opera House. Take part in this offering by some of Vietnam’s talented student and professional performers. Tickets for each event can be purchased on TicketBox. Bring your fur baby down to Crescent Mall for the Pet Week-End, presented by City Zoo and Royal Canin. This will be an event your pet will never forget! Puppy pals can enjoy the pet park, ball party, and pool party as well as compete in the agility contest. Pet owners can learn about pet care and engage in the talk show from experts. Pick up some free gifts and do some shopping for your pets. Be sure not to miss the professional dog performance either! Head down to the front of Crescent Mall to make some fun memories with your favorite pooch. Here’s a unique way to get your sports fix this week! The RMIT Ultimate Frisbee Club - SGS welcomes players to the The Third Annual RMIT Indoor HAT 2019 held at RMIT Sports Hall. Four teams of five players will compete in three phases to win medals for Champion and Best Spirit. There are only 48 spots for players, so hurry to register here. Be sure to read up on the official ultimate frisbee rules before the big game. The only required gear is sports shoes suitable for the indoor court and a winning attitude. Registration includes lunch with beverage, fruit, and medals for Champion and Best Spirit. Get your work out this week in a fun and competitive way with some ultimate frisbee. The best suppliers and tattoo artists in Vietnam unite for the 3rd Annual Vietnam Tattoo Convention at Queen Plaza Ky Hoa. Watch as artists compete in several categories each day and one very special talent will be awarded Best of the Show. In between the competitions, there will be live rap performances and a panel discussion by top Vietnamese artists. Vendors and tattoo artists will be on hand all weekend as well. Seems a great event to get inked or just see some cool unconventional art in an alternative space. Grab your tickets and find more information on the website. Chef’s Table Saigon is back for another pop up dinner at Eddie’s New York Diner. This time they welcome Chef Caroline McLane for the French Connection Dinner. Chef Caroline currently lives in Saigon as Chef to the Australian Consulate. Born in America and raised in France, the chef creates her culinary masterpieces by drawing on her rich history and experience. On April 12, Chef’s Table Saigon will start with a wine tasting of American and French wines, then present a mouth-watering menu including 4 small places, a choice of main entree, and dessert. There is very limited seating for this one-night special event, so call or text for reservations. Ready for some head banging action? "Filthy Lies" presented by Hehemetal, will be a first Metal show in Saigon since Tet holiday. Metal heads can expect a mix of sub-genres from groove to black metal. Bands on the line up include Nuclear Factors, Lolotica, Rot, and Infecated. Head down to Woodstock Bar, Saigon’s live music hub, for a night of extreme metal and mosh pit madness. Locally Trapped Wildlife is back again with another pop-up alternative music showcase in HCMC. This time, they bring together live original music from OPN AIR DRG MKT (Saigon), SheS (Hanoi), and Monoheart (Hanoi) to the cozy space of Zigzagger. Part of the fun will be finding this secret venue in Saigon, located just one floor above The Loft on Pasteur Street. Come hear some great original music while sipping drinks and sampling snacks in the artsy and eclectic but comfortable lounge of Zigzagger. 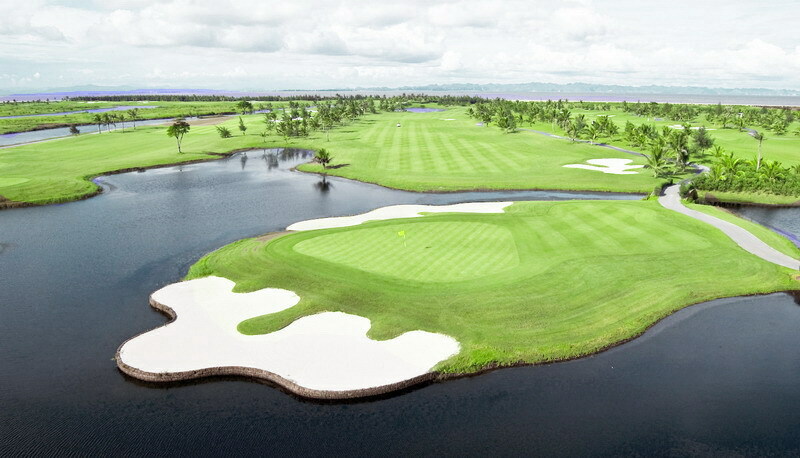 Although Vietnam has only 30 golf courses in operation, they are all very high quality and some outstanding designs by the top golf architects in the world. If you get the opportunity to play, you will not be disappointed and you will be made so very welcome wherever you go. As yet, there are no public golf courses in the country and golf is seen as a sport for the elite. Many of the top-position politicians and businessmen play golf as they see it as a good way to discuss business together. Golf here is not as expensive as you would think. 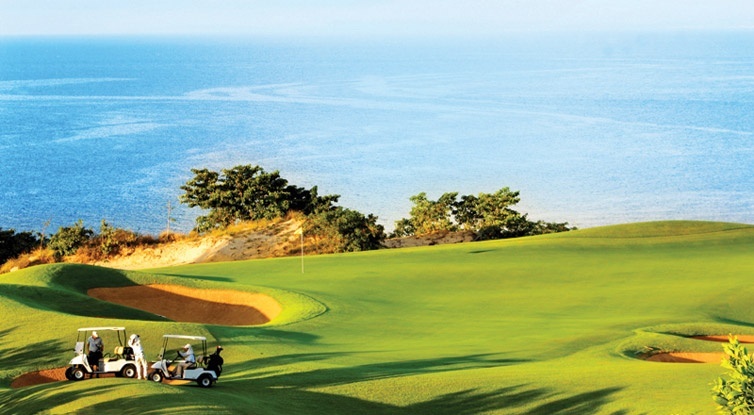 During the week, special offers mean you can play golf for around $60. This will include the green fee and caddie. Please note that caddies are mandatory and more about them later. Although many golf courses are ok for walking, due to the heat and the time taken to play 18 holes, it is wise to take a buggy. Prices vary from course to course, but a shared buggy charge will be around $15 per person. When you arrive at the golf club, you will be welcomed by the Valet, who will direct you to Reception where you will book in. If you need rental clubs and shoes, the Receptionist will get them for you. Most golf clubs will offer acceptable rental clubs for about $25 for 18 holes or higher quality sets, such as Titleist or Taylor Made for $40. The price for shoes is usually $15. The Golf Shop will stock tees, gloves and golf balls and some clubs offer used golf balls for sale. They will also have a selection of shirts and caps for you to buy as souvenirs. You must be aware of the dress code. 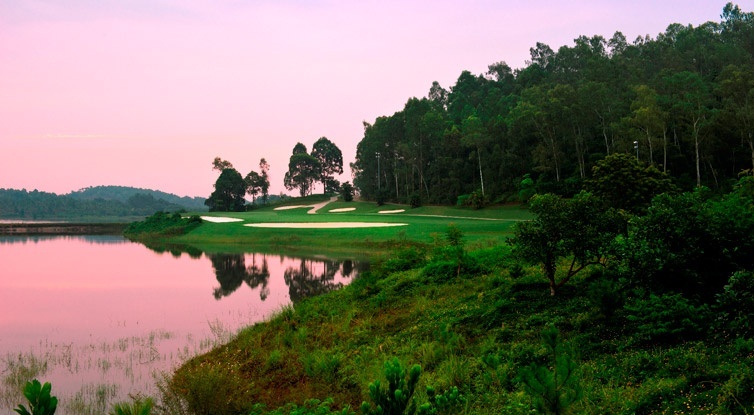 Each club will expect you to wear a proper golf shirt, golf shorts, not swimming trunks or very short shorts, golf shoes and each golfer must have their own set of golf clubs, Sharing is not allowed. All golf clubs have locker rooms and you will be given your own locker and key. Do not lose the key, otherwise they will charge you for a replacement. The caddie will help you on the golf course. When you book a tee time, insist on a caddie who can speak English. You will be spending 4 or 5 hours with them, so you do want to find out more about their life and you will find they are so interested in you. They will do everything for you except hit a golf ball. They will take care of your clubs, clean your golf balls, fill in divots, rake bunkers and repair pitch marks. They will describe each hole for you, tell you where the hazards are and even give you the line of the putt. As their salary is small, then you should give them a tip at the end of the round. The amount of tip is up to you, but the usual tip is 250,000 to 400,000 Vietnam dong per caddie ($13 to $20). Make sure you are properly prepared for your round of golf. Drink plenty of water before you play and during the round. All golf courses have rest houses on the golf course and many return to the club house after 9 holes. Bringing your own drinks and food is a no no and should not be done. After your round of golf, make sure you give yourself time to relax at the clubhouse with a welcoming and refreshing cold drink. Golf clubs are excellent places to eat, very reasonable in price and will offer both local and international menus. Most of all enjoy yourself and take in the beauty of where you are. You are in a very special place with some friendly, smiling people who want to do their best for you and hope you will come back and see them again. City Pass tries out two of Saigon’s most popular live detective games, Escape Hunt and Ubiquest, playing the role of a hard-nosed detective investigating a murder mystery. Outside of theatre and video games, you don’t see much role play or interactive activities in Ho Chi Minh City. Luckily, we uncovered two detective games that drop you in the middle of a murder mystery, letting you live out those Sherlock Holmes fantasies (minus tobacco pipe and risk of death). 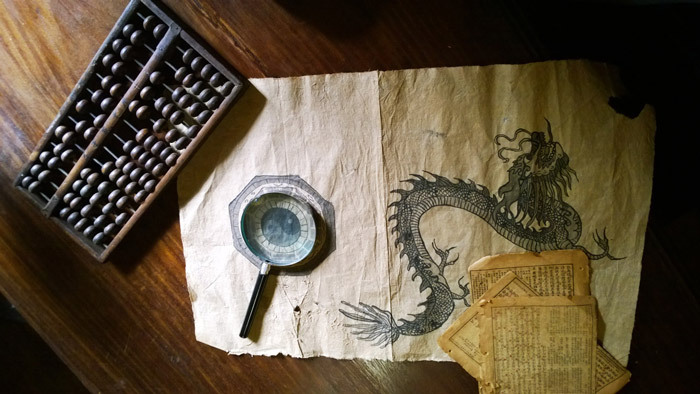 Escape Hunt and Ubiquest are difficult (to an extent), immersive and rewarding – read on to find out exactly why they are some of the most fun you will have in Saigon. Located somewhat furtively above The Coffee Bean & Tea Leaf is the quietly decorated lobby area of Ho Chi Minh City’s Escape Hunt office. Four rooms sit at various angles, blocked off by tall curtains. 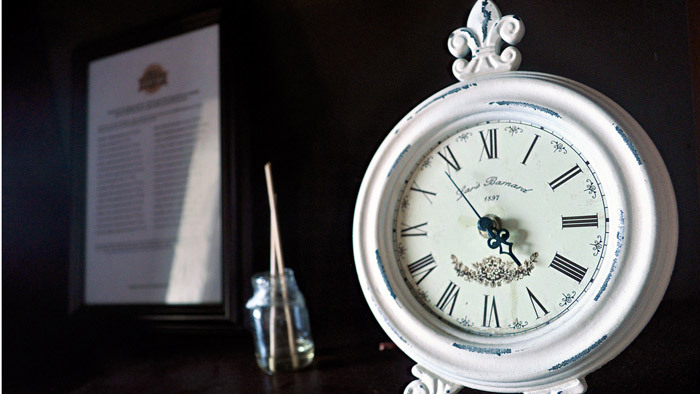 These are the escape rooms, and you will know nothing about them until you walk in, have the door shut and locked on you, and be given one hour to solve the mystery and find the key to unlock the door. Escape Hunt is the brainchild of an English Psychologist who, after experiencing health issues and moving to Thailand, developed the idea of a detective game that has 2-5 players pitted against an intricate mystery. 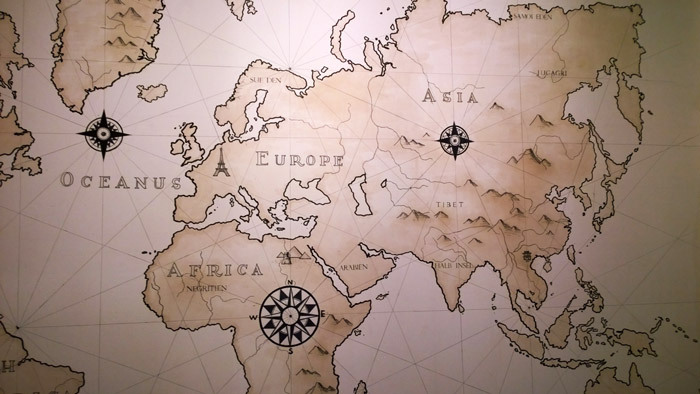 Escape Hunt now has 25 locations, with a slew of others set to open in North America. 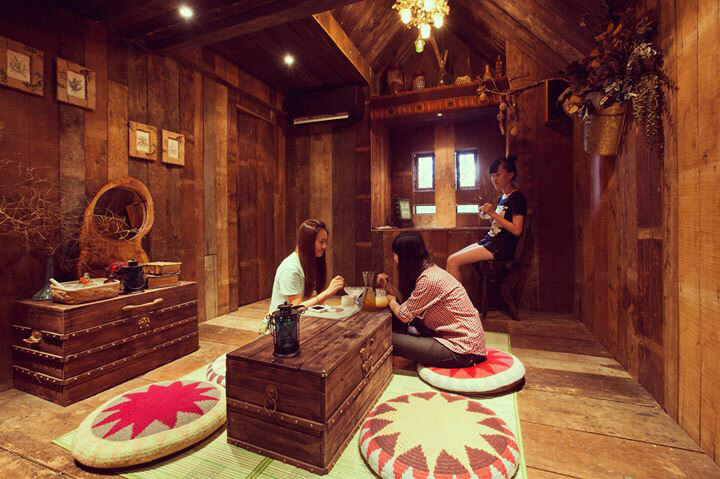 The Ho Chi Minh City Escape Hunt branch was opened in September and has been popular with teens, universities, companies, tourists and expats. 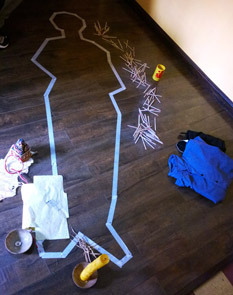 Three of our staff stopped in for a 60-minute sleuth session. We were ushered into a low-lit room, explained the rules and left to solve the mystery and find the key to the door within an hour timeframe. We heard the door sadistically lock and some moody music creep up. The game master was available for hints, but each time we asked for help from her we got minutes shaved from our remaining time. The puzzles are tricky, teamwork-oriented, and require some outside-the-box approaches. Few if any have solved the mystery and escaped the room without at least a few hints from the game master. Finding the next clue or coming upon an item you were searching for feels highly rewarding, and you get sucked into the role quickly. Time flies as you use a whiteboard to jot down notes and figures, collect pieces of evidence and nervously glance at the large LED clock ticking away. It’s thrilling, addictive and relies on individual strengths working in unison rather than outsmarting the other person. As a team-building exercise or a rainy-day diversion, Escape Hunt is ace. 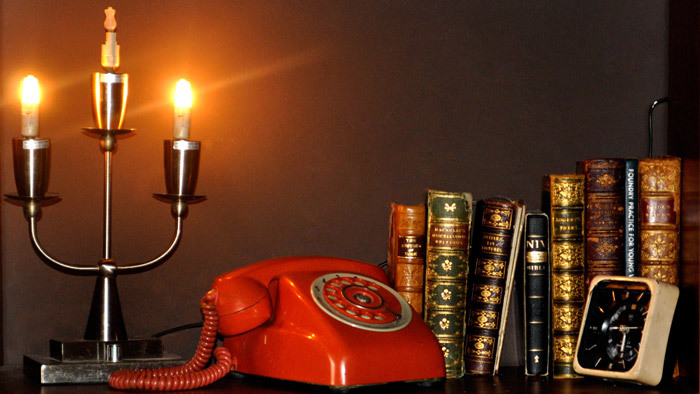 To check out available mysteries and booking options, check out the Escape Hunt booking page. Ho Chi Minh City’s second live detective game takes players outside the claustrophobic confines of a room and throws them in the streets of Saigon. This doubles as a self-directed walking tour, but you may want to do the tour part after the live game – you’ll be too busy role playing a hard-nosed detective, questioning actors in various roles, finding mafia-tied ancient artifacts or any of the other challenges Ubiquest presents. For our experience, we chose the Urban Tales game, a murder mystery set in Cho Lon, Ho Chi Minh City’s China town. We were picked up by a cute yellow 1967 Citroen 2CV, a happy-go-lucky young driver creaking away at the ancient dashboard. We arrived at a dilapidated living space, escorted up to the top floor and into one of the rooms, a few curious residents peeking at us through open doorways. We were briefed, told to search the evidence room and given our gear (map, notebook, water, etc. ), including cell phones for further instructions from the head detective. Urban Tales takes three to four hours to complete. Be sure to go when the wind blows and the sun’s behind the clouds – you can easily get exhausted walking around in the unbearable heat on a cloudless day. Sun block and a decently wide hat are all but mandatory. You’ll be provided water but it’s a good idea to bring a bottle of your own too. For entirety of the game, we set out into the streets of Cho Lon with our map and collection of evidence, going from actor to actor, uncovering details of the murder. The characters drop you clues and hints when you press them for information, sometimes refusing you if you don’t put enough pressure or reasoning into your argument. The acting is hilariously campy, and the game would benefit from some natural English speakers with an acting background, but the campiness is tolerable in the grand scheme, and allows you to play out your own amateur detective fantasies without judgment. We were pitted against two other teams, and although we were the first to find out the murderer, another team found the sacred artifact before us. Afterwards we all took cyclos to a Chinese restaurant for free lunch. Urban Tales is an eclectic way to discover Cho Lon – or any other part of Saigon – just be sure to go when the sun isn’t blazing. For more games, check out the official Ubiquest page. 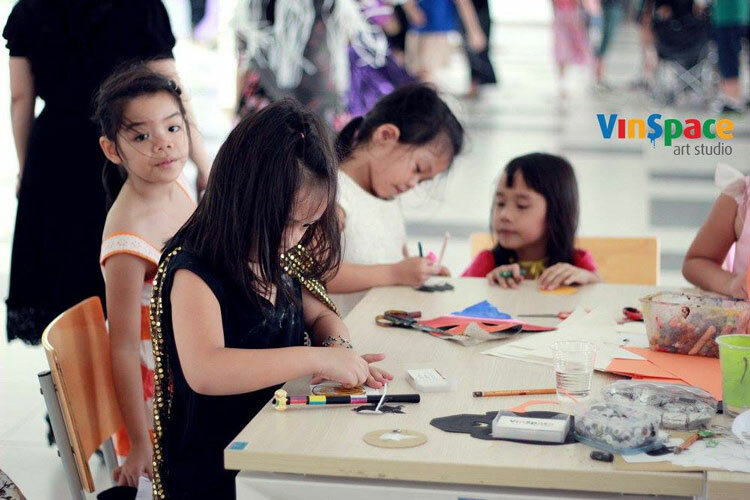 Many of Ho Chi Minh City's things to do are suitable for families with kids of all ages. If you are living in Vietnam as an expat or just visiting, we list the 10 best things to do with your children in Saigon. Don’t forget to comment below to let us know what are your recommendations! The city's parks are places where childish exuberance, which can be hard to contain in a hotel room, can be unleashed. Van Thanh Park in Binh Thanh District has paths and a field for little people who just need to run, as well as a small playground and a swimming pool. While the kids are busy being energetic, adults can relax in a bamboo hut over a small pond or work up a sweat on the tennis courts. Tao Dan Park in downtown District 1 also has room to move, making it a popular spot for city dwellers to take their morning and evening exercise. And it's not just people who visit the park. Songbirds are taken to the park's little cafe (fronting Cach Mang Thang Tam Street) every morning, their cages hung from purpose-built frames to encourage them to sing. It's a fascinating experience to visit the bird cafe, especially watching the bird owners take their beloved pets home by motorbike. The park, which has large playground and an indoor play centre, is a short walk from the Golden Dragon Water Puppet Theatre. The 55-minute water puppet shows, all in Vietnamese, need to be booked a few days ahead. You could continue the bird theme with a visit to Pet Me Coffee in Phu Nhuan District. 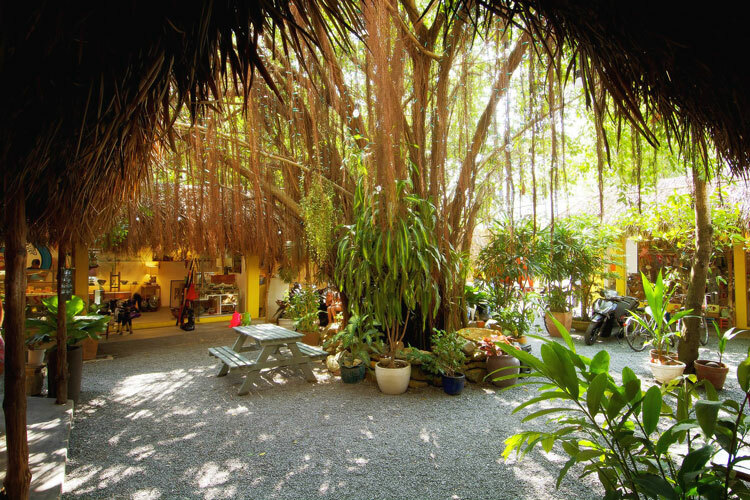 This small drinks-only cafe has a resident mini-owl and several parakeets, which can be petted, as well as some larger more exotic birds who hang out at the front of the coffee shop. 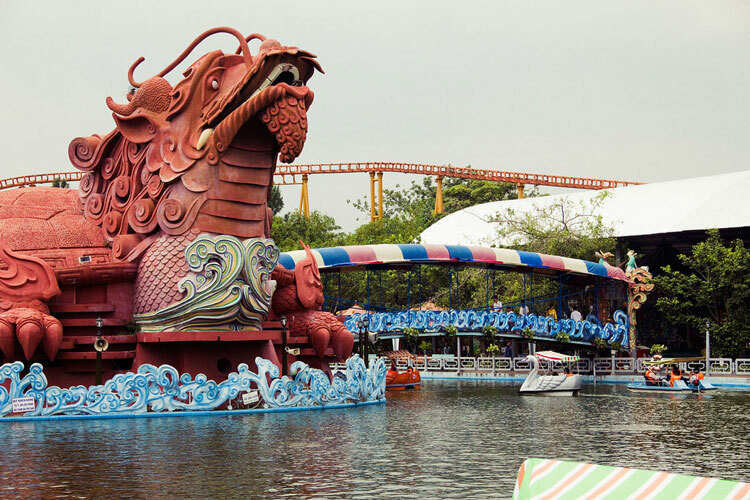 One of the city's wackiest attractions in town is the Buddhist-themed Suoi Tien Amusement Park. Allocate a full day here, especially if you plan to visit the vast water park section. The amusement park can be quite baffling if you're not well versed in Buddhist stories because there is limited signage in English. Still, a stroll through the strange displays, which include a wish tree and The Royal Herbal Wine Palace, can be very entertaining. There is also an aquarium, 4D cinema, a dolphin show and the Snow Castle, the perfect place to escape Ho Chi Minh City's heat ... by plunging into a sub-zero world of ice and snow. Younger kids will enjoy learning about the world of work at Kizciti in District 4. The staff here usually has enough English to explain how each activity centre works. Each child receives a small amount of kizo, the Kizciti currency, on entry and they must decide how to manage it. Some activities cost kizo, and some earn it. A small open-air cafe serves basic food and coffee to sustain the "kiz" and their parents through a long day of "work", which can entail learning to be a pilot, a paediatrician, a delivery person or a firefighter. Ho Chi Minh City has several indoor play centres and amusement arcades. In the city centre, Vincom Center has a play area and a game zone in its basement. In District 2, there's a play area in the garden of Snap Cafe and in District 7 there's an air-conditioned indoor playground inside Bee Bee Premium Kid's Cafe (4th floor, 96-98 Cao Trieu Phat, Phu My Hung). Older kids can while away a few hours at Paintball Saigon, X-Rock Climbing, in the pool at Lan An Sports Club or at the bowling alley on the fourth floor of Diamond Plaza. Younger kids can be entertained for hours at the witch-themed Ba Cay Choi (Three Broomstick) cafe on the third floor of The Vista Walk in District 2. Activities at the cafe, which can be entered via the stairs or a giant slide, include candle-making, baking, hat-making and painting. Make sure you order something with a suitably disgusting name from the food and drink menu, such as bug mud or ghost pumpkin spaghetti. There are more cool cafés for you to bring your children to: A long rainy Saigon afternoon can be spent playing board games and snacking on poutine at Monopolatte Au Play Cafe, while a long scary evening can be spent eating ribs. (There's a pool in the outdoor section). Escape Hunt is a game played indoors with a group of two to eight people. You are locked inside a room with a mystery murder to solve. It is one of the best thing to do in Saigon for families with teenagers. You must work together to find clues that will help you find out who is the killer and how to escape. 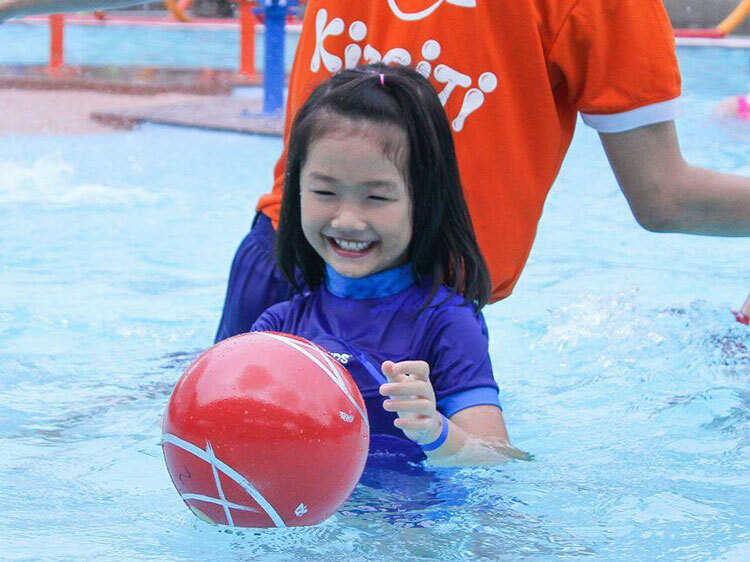 In the expat area of District 2, there is a range of activities for older kids. Some of the more interesting include taking a workshop or joining a summer camp at Vinspace art studio. The Reunification Palace is a prime example of a must-visit family-friendly attraction that has a special appeal for kids. The roomy but slightly run-down public areas could be the backdrop for a princess fantasy, while the basement war rooms will appeal to hero-types. Making the palace even more appealing is its location, a short walk from the Haagen-Dazs ice cream cafe. Families traveling to Vietnam with kids should not worry about things to do in Saigon. We only listed our top 10 attractions but there are many more great ideas that will make your stay memorable. 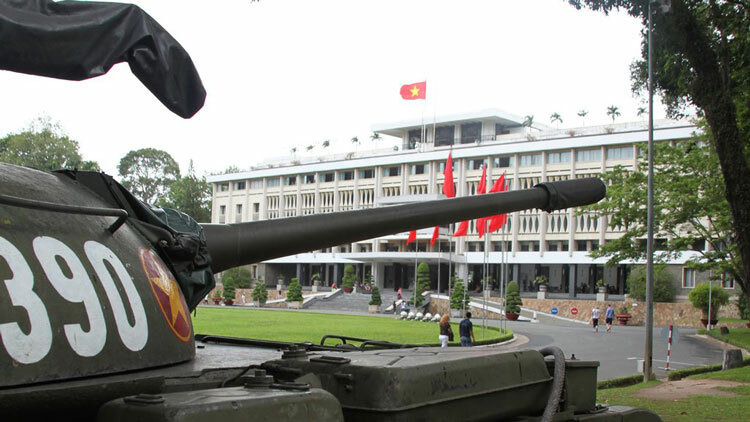 You may also want to read our article What to Do in 24-hour in Saigon. Funds raised from the event will be donated to Nguyen Dinh Chieu School for the Blind in District 10 to renovate and buy equipment for a Multi-Sensory Room that supports 305 students here to develope their academic learning. Multi-Sensory Learning happens when more than one sense is used to acquire and retain information – so applicable for children with multi-disabilities. XO Tours: Much imitated but never replicated! We all know that it is near on impossible to copyright an idea and protect intellectual property in Vietnam. But what does that mean for your day to day business when you have an original idea and an excellent product? Luckily although people can steal your ideas – in minute detail – and almost totally replicate your offering - it’s the little things that make a brand – and ensure that brand still stands head high above any pale imitations. Spend 5 minutes with Tung who is the founder of XO Tours and his passion and enthusiasm for what he does is palpable. It is a simple idea – tourists want to see the real Saigon but not on the back of a grubby motorbike and behind an even grubbier driver. Step up XO Tours with female drivers with class, style and excellent English who are also able to provide a female perspective on life in Vietnam. XO Tours was the first company in Vietnam to offer affordable motorbike tours with attractive female tour guides dressed in traditional Vietnamese Ao Dai. All the XO guides are handpicked and fluent in English but it is Tung’s focus on service that really sets XO Tours apart. Tung invests heavily in every detail of his brand and his employees imbue the same high brand values. All his employees are trained to the highest standards – whether it is presentation, language skills, driving skills or personability . All employees are full time and their bikes are upgraded at Tung’s expense to ensure maximum comfort and safety for clients. This is a business where the customer experience is king – people are buying memories and that is what he aims to deliver. Staff retention is key and bonuses and profit sharing make for motivated and loyal employees who are focused on growing the company by providing the best experience they can. Customers come from all over the world and a high percentage of business comes from word of mouth – simply the best publicity you can get – being number 1 on Trip Advisor for 2 years can’t be bad either. Bristling with new ideas, Tung started with basic tours – he was the first to do night tours – then first to do foodie tours. Now others are jumping on the bandwagon - some good -some not so good…. In spite of this, XO Tours is expanding and bookings are full – anything between 18-24 guests go out on any one night. So competitors can steal his ideas, follow the same routes , and visit the same areas, cosy up to the same suppliers…..
Imitate they may – replicate never! Do you know of any businesses with similar experiences?